Antiphone Blues is a title that requires no introduction. 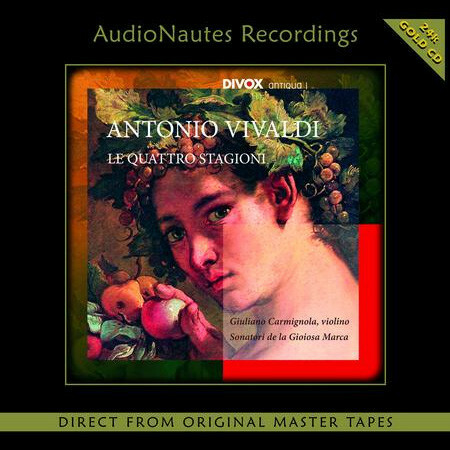 As a largely popular bestseller since its first edition in 1975, this Proprius recording deserved to join the collections of music lovers and audiophiles all over the world, for its extraordinary sound quality and its innovative musical content. 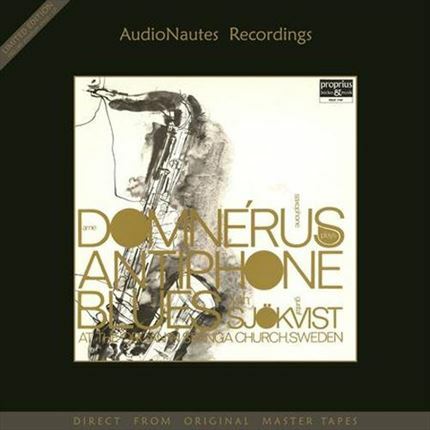 Considered to be the best recording of saxophone performance in decades, Arne Domnerus, a living legend, is at the height of his mastery of the instrument. This is the best solo saxophone with organ recording in the world in terms of performance and sonic excellence. Period. Listen and experience a new musical idiom unlike anything you have heard before. Fabio Camorani's AudioNautes Recordings accepted the challenge of retrieving the sound and special feeling of the original edition, comparing dozens of acetates and test pressings, until success was achieved. "It is the result of the collaborative effort of a team, able to infuse in this project all their experience and passion for music playback, and I wish to thank them sincerely for that," Camorani says. "Someone pointed out that producing records this way is some kind of 'commercial suicide.' Yet personal satisfaction is priceless, so I simply tell you that through this reissue I discovered once again the pleasure to listen to Antiphone Blues, as it did not happen for a long time. I consider it a gift for myself and for everyone who loves good music and high fidelity." • Numbered, Limited Edition - 1000 Copies!